Still my most popular post- for those with some boxes and paint lying around: here’s how to make Minecraft Steve & Creeper heads. 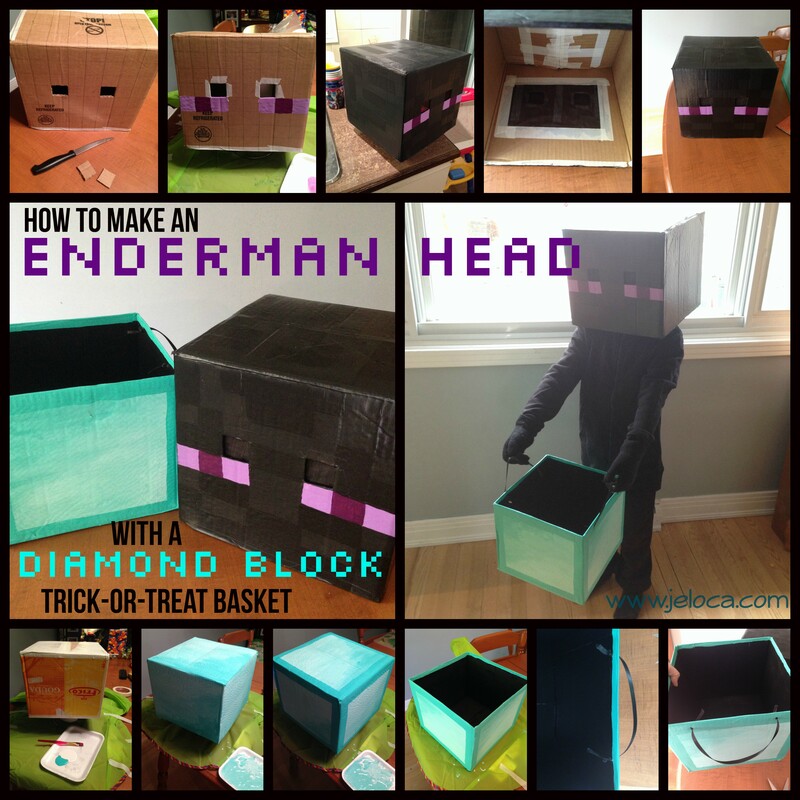 If you’d prefer instead to teleport in out of nowhere and swipe your candy, here’s how to make a Minecraft Enderman costume head complete with his very own Minecraft diamond block trick-or-treat candy holder. Speaking of apparating- for those who need an easy addition to their Gryffindor robes, here’s a quick free Gryffindor house scarf pattern. Easy props for your budding buccaneer made from dollar-store items. And finally, here’s a quick and easy Pikachu costume! Categories: Crafts, Knitting, Uncategorized | Tags: cosplay, costume, costume accessories, Creeper, diamond block, dollar store crafts, easy and fast kid costume diy, Enderman, gryffindor scarf tutorial, halloween, harry potter scarf, how to make minecraft heads, last-minute costume, Minecraft, Minecraft Steve, Pikachu, pirate accessories, pokemon, Steve, viking vest | Permalink.